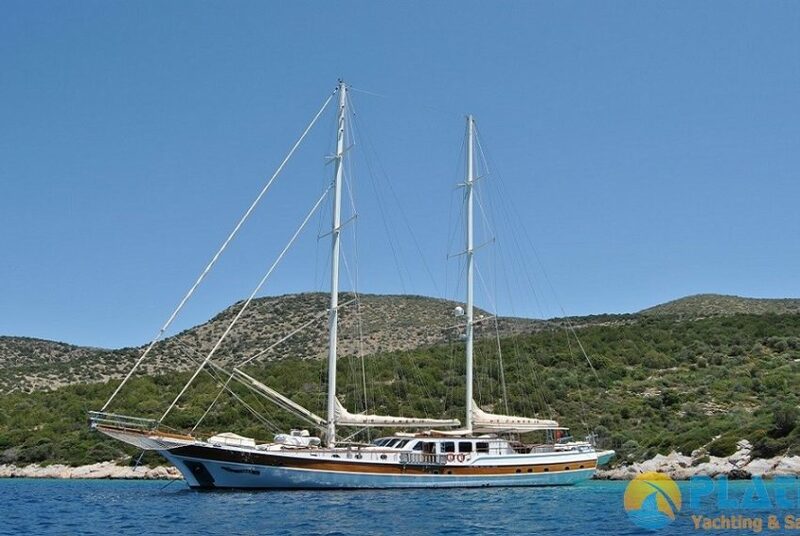 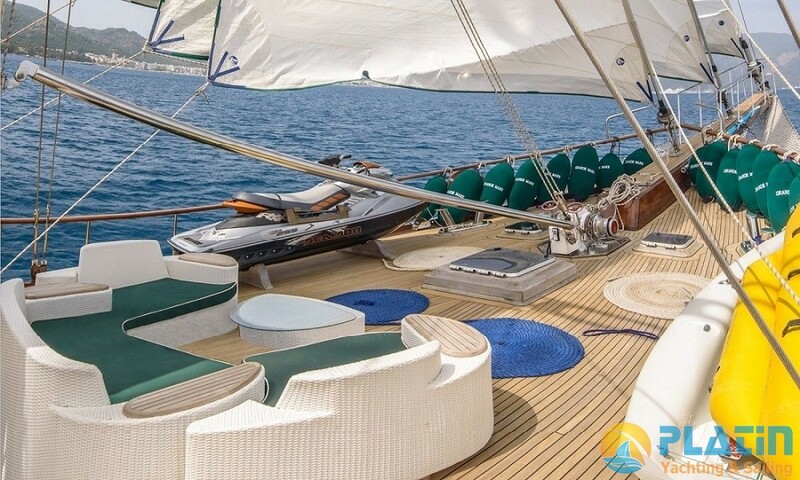 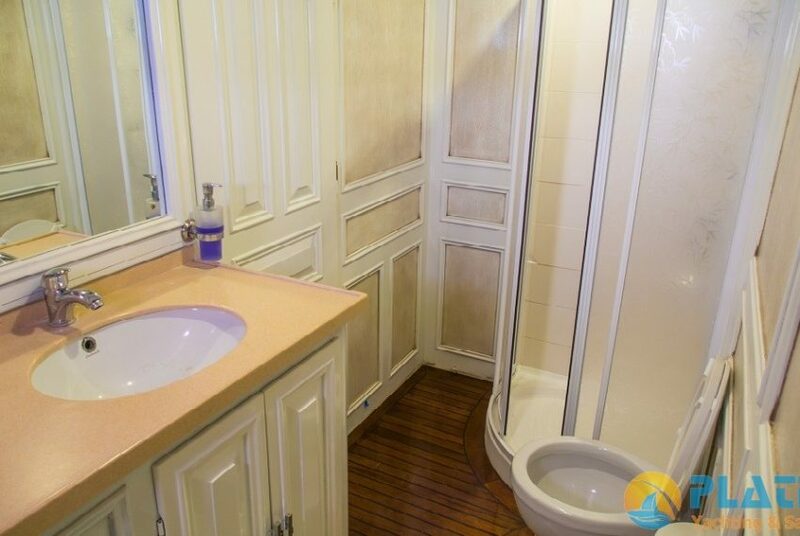 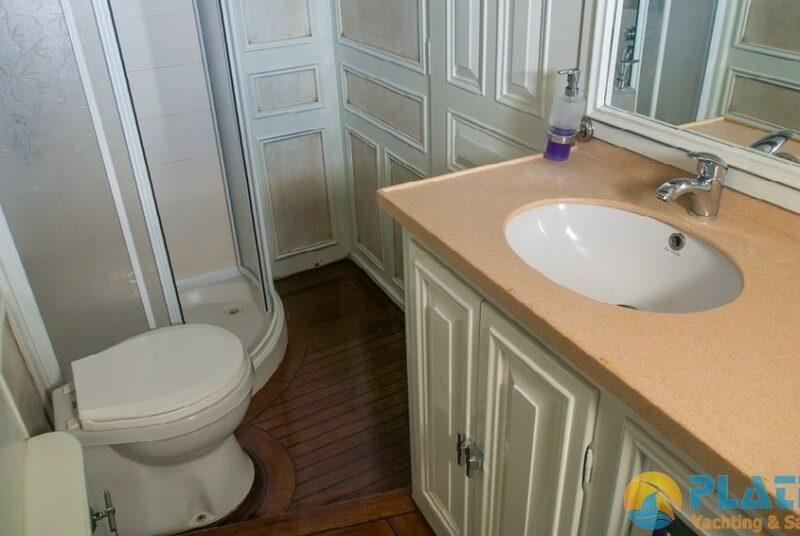 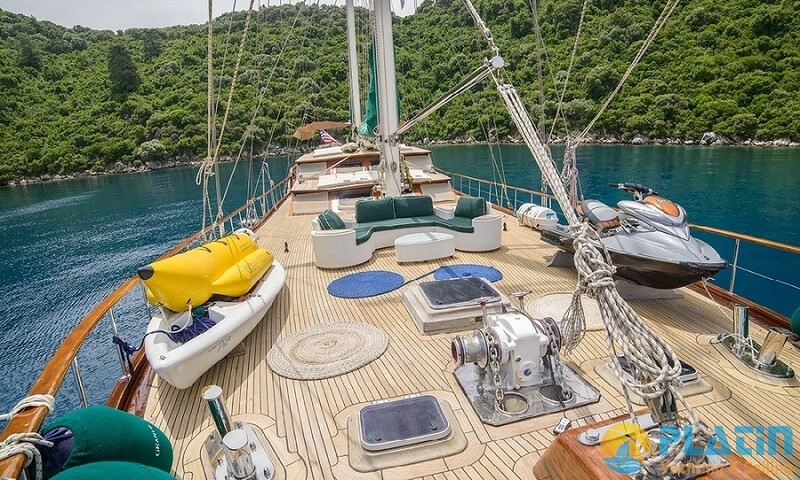 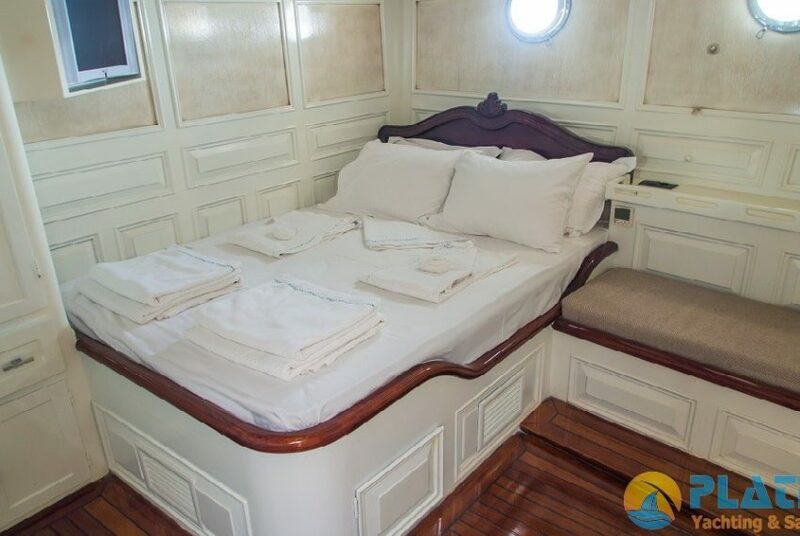 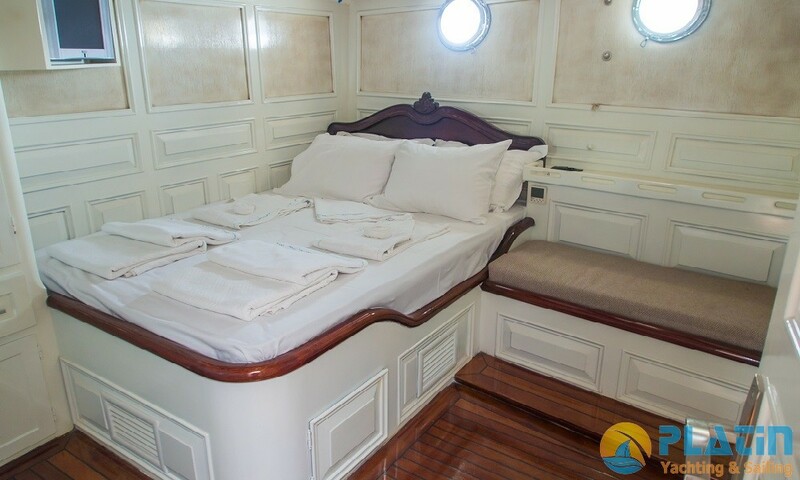 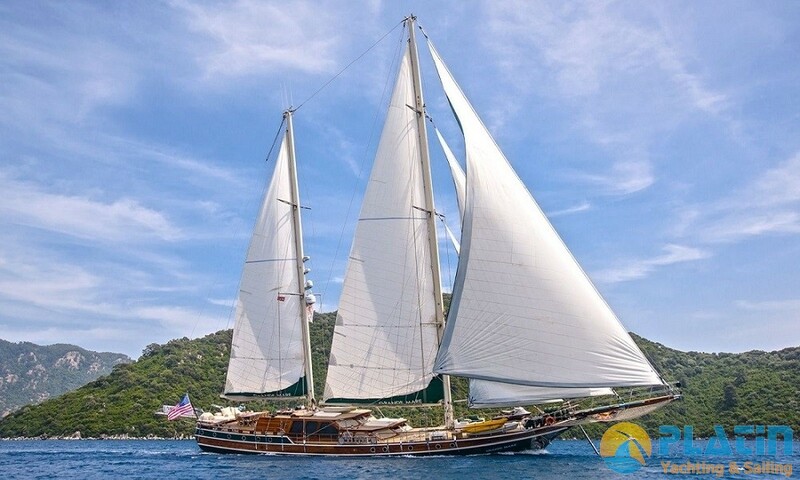 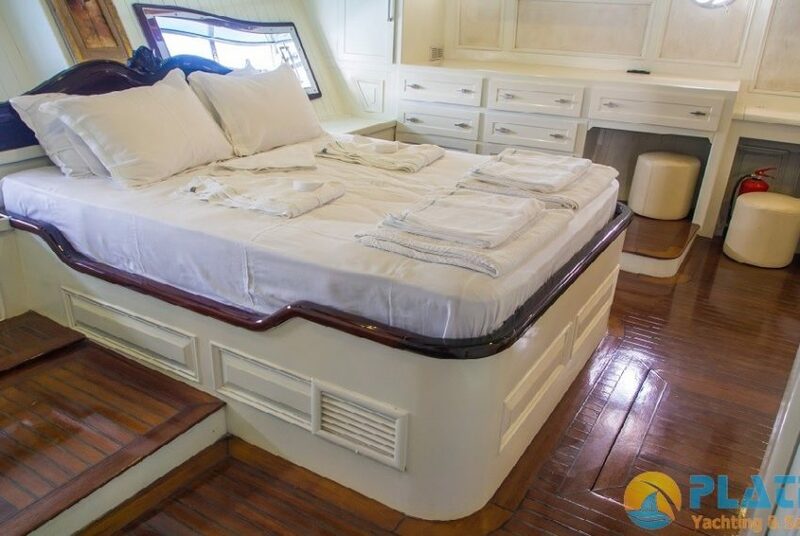 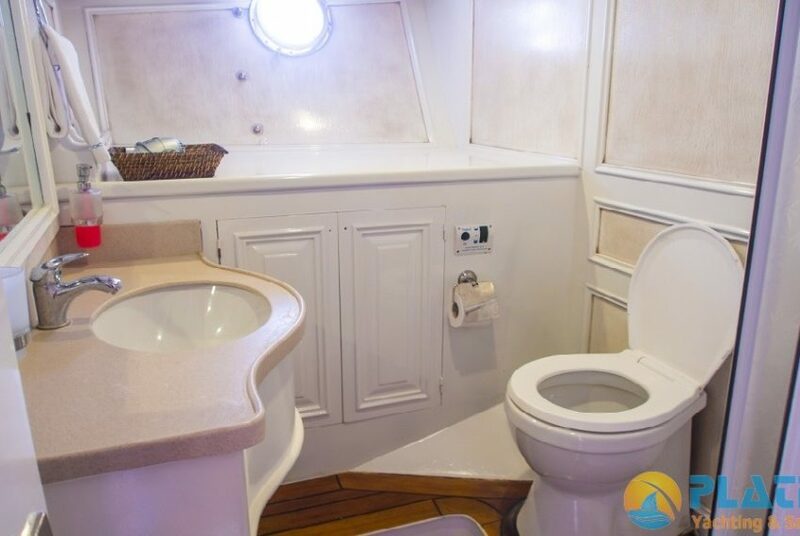 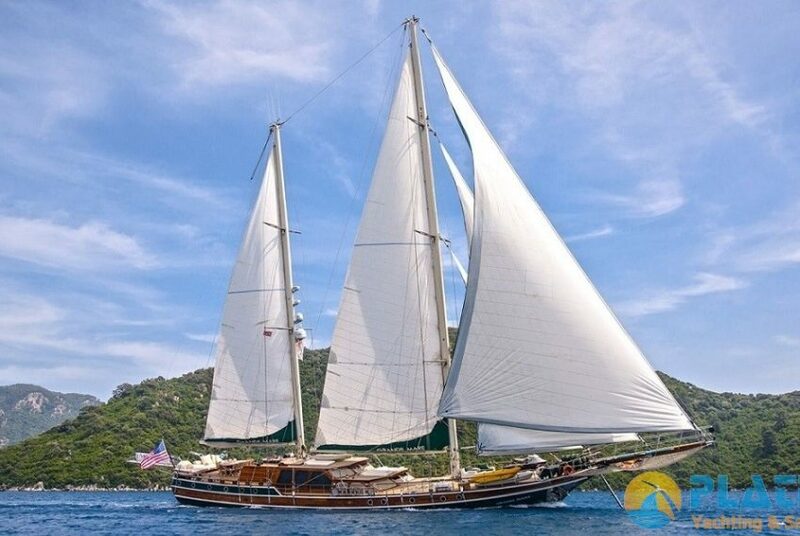 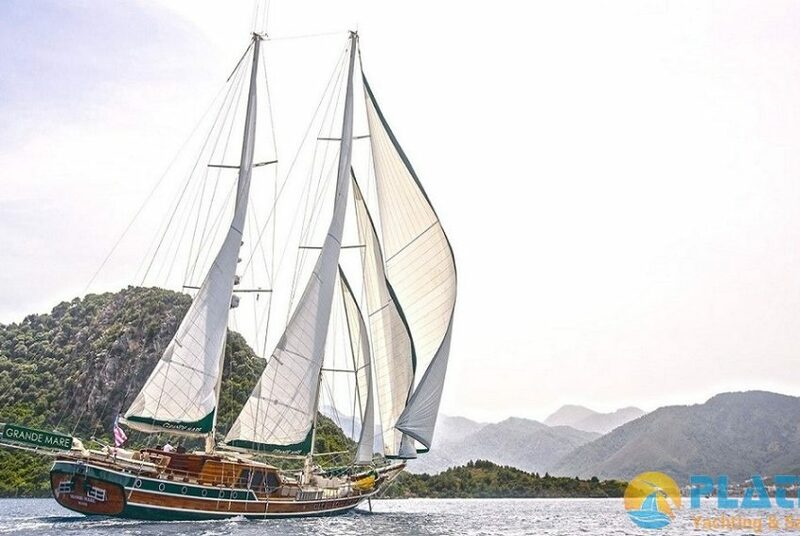 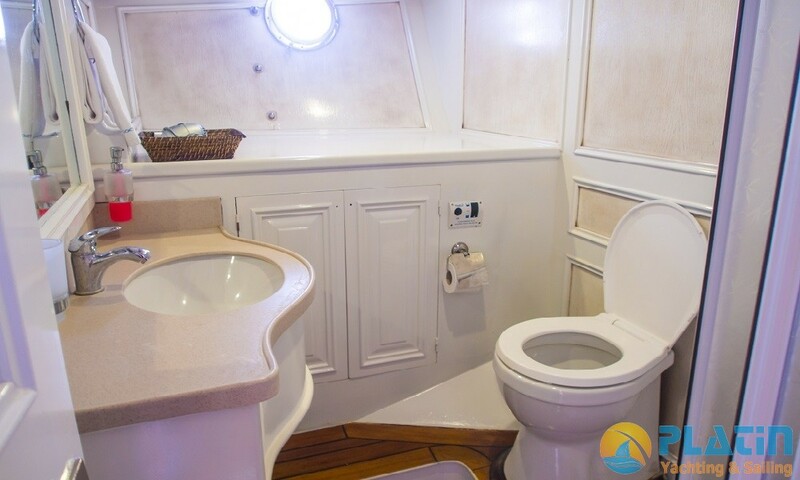 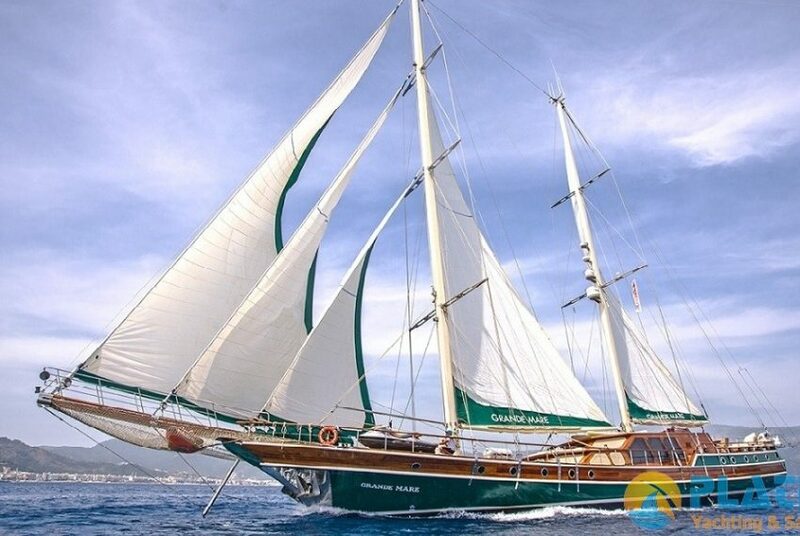 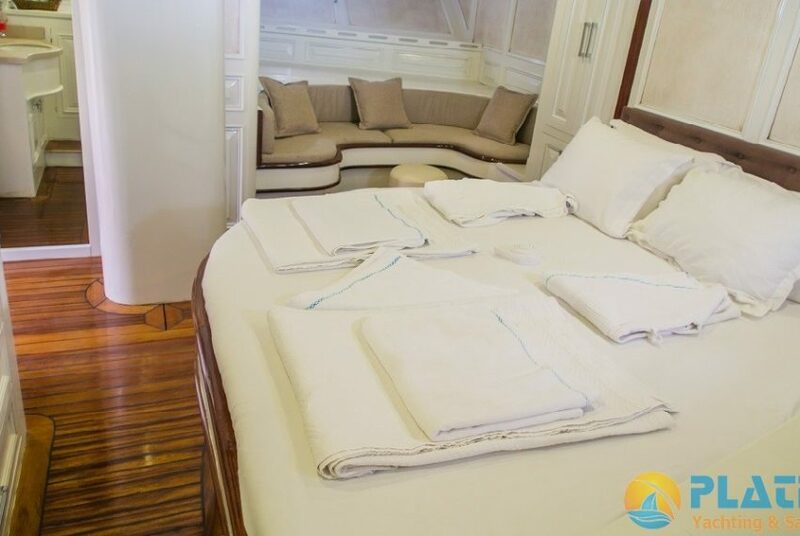 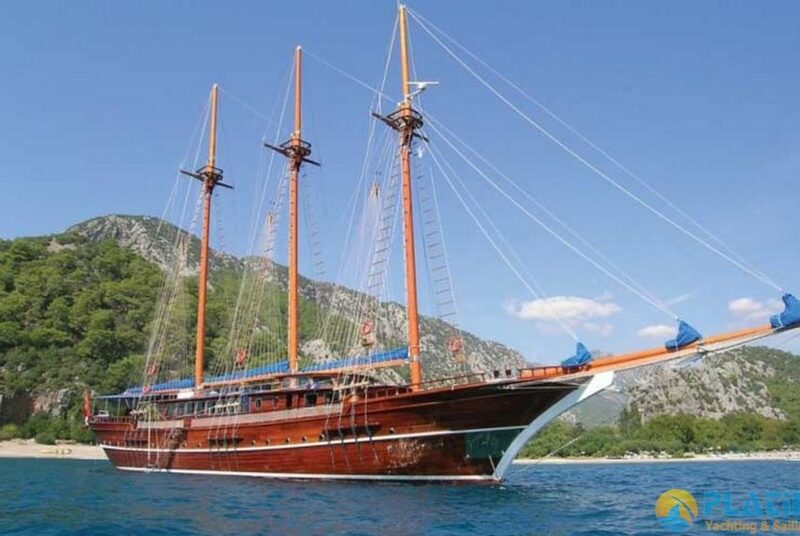 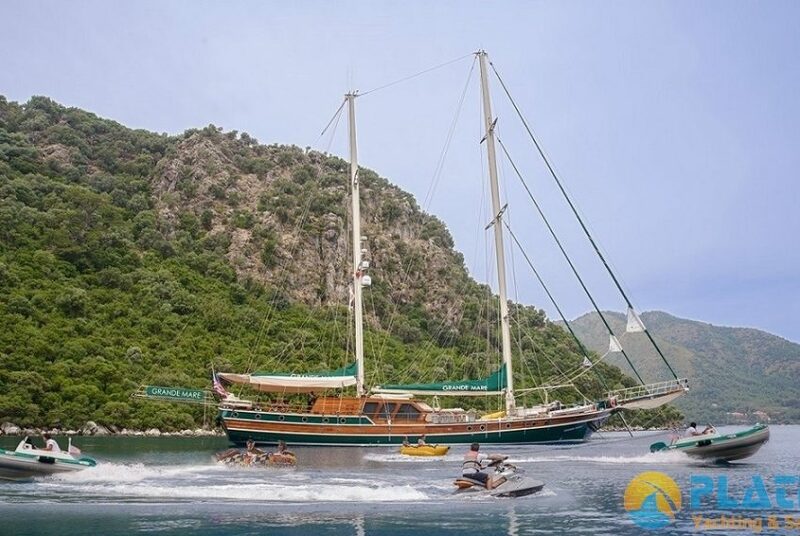 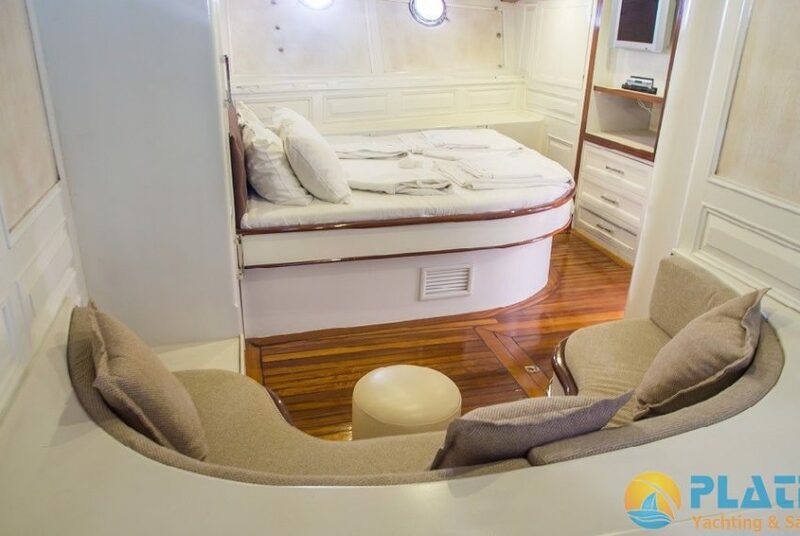 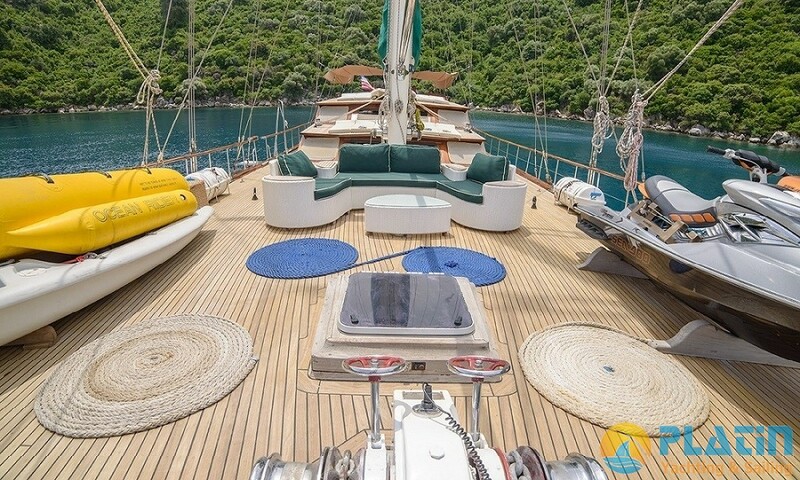 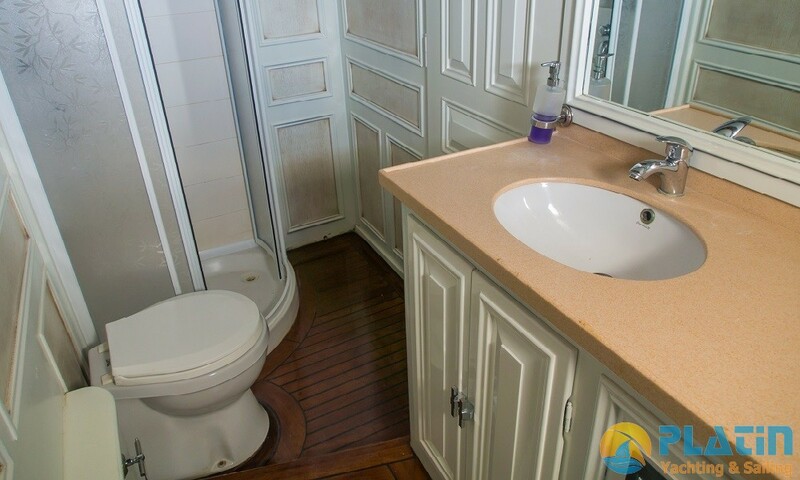 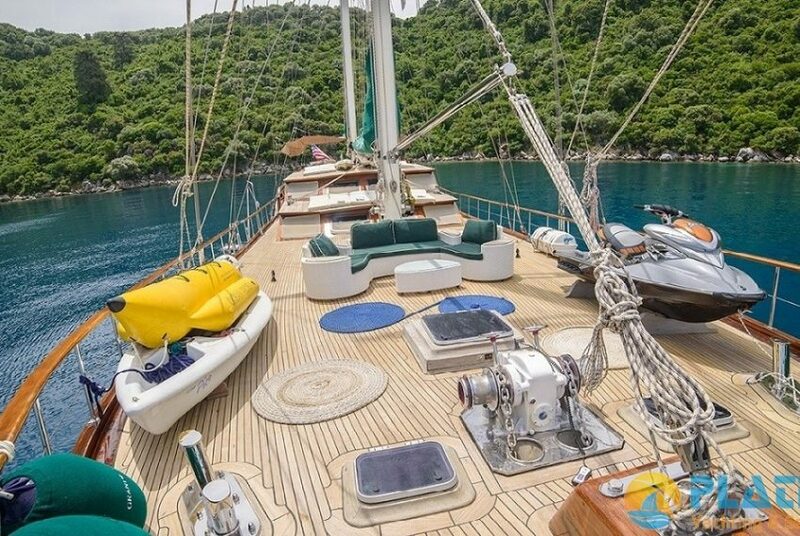 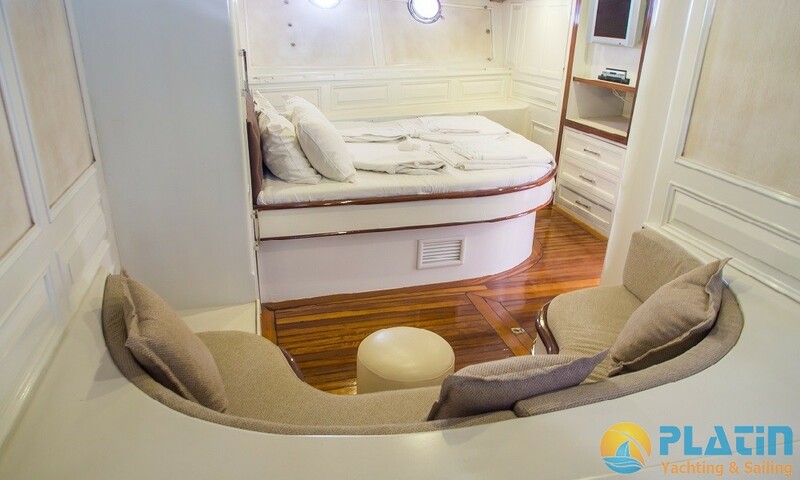 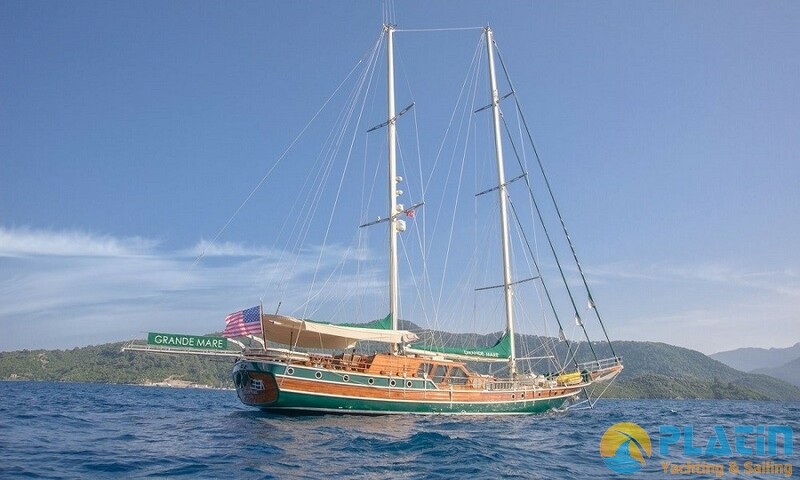 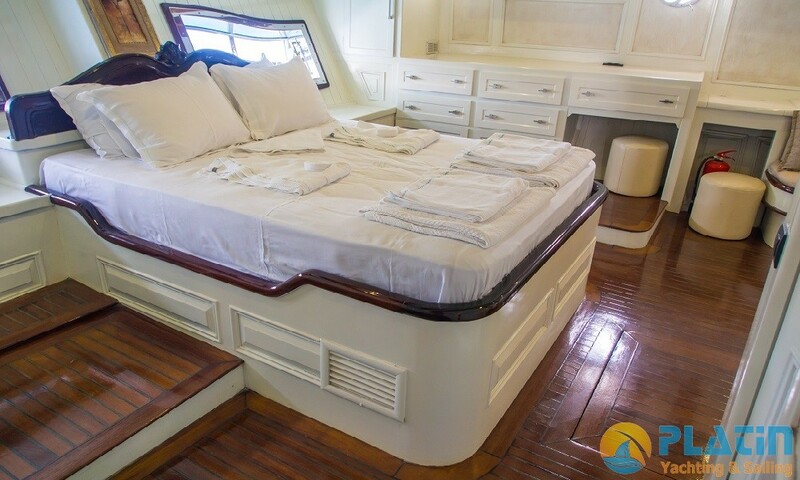 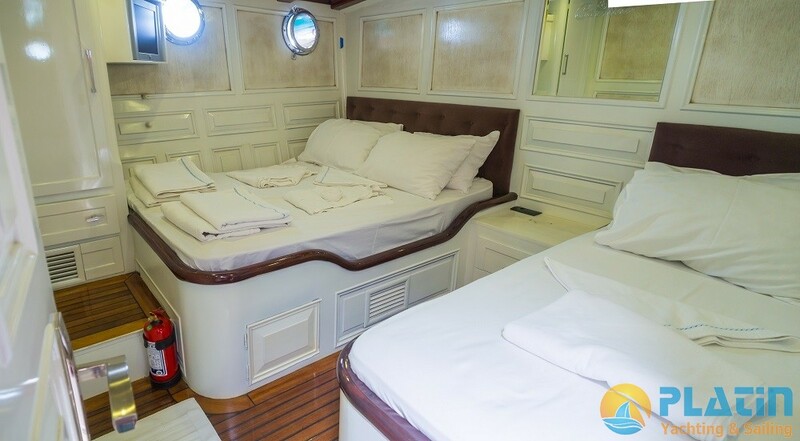 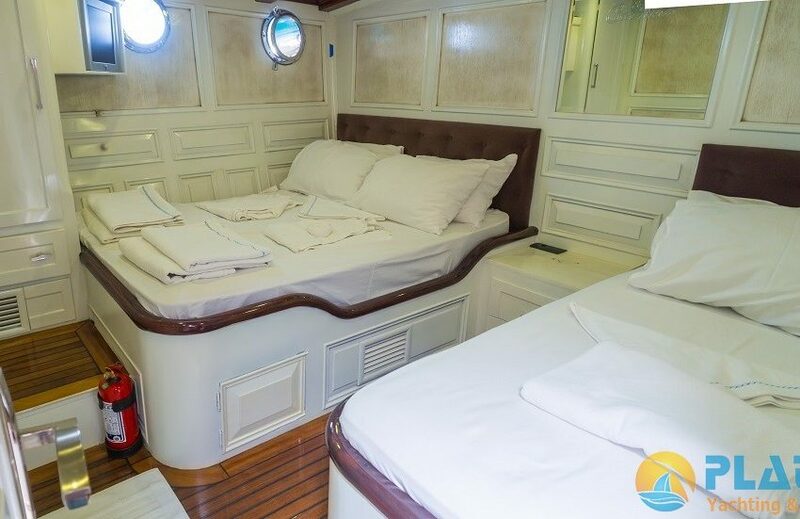 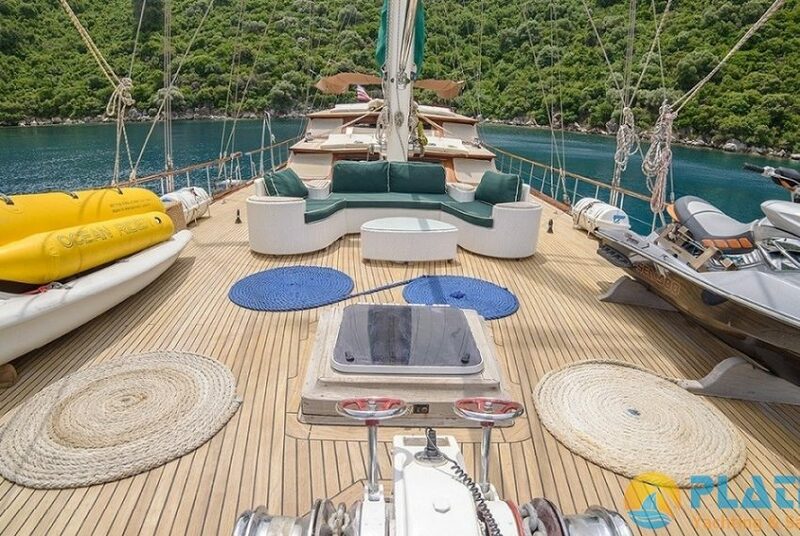 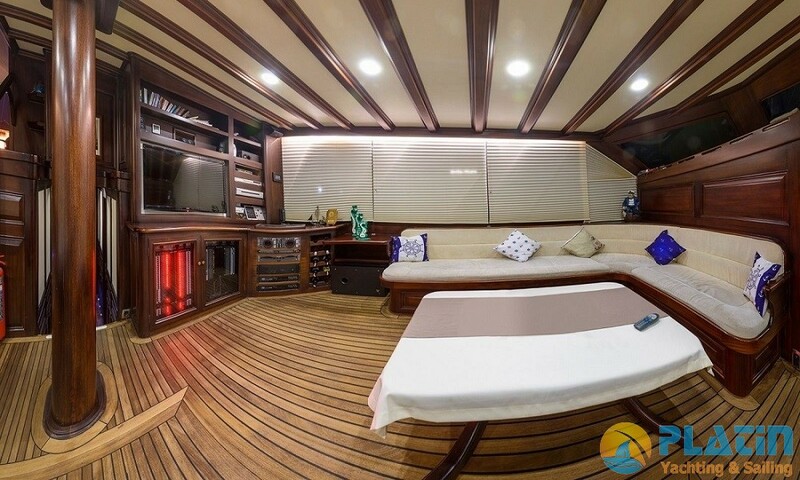 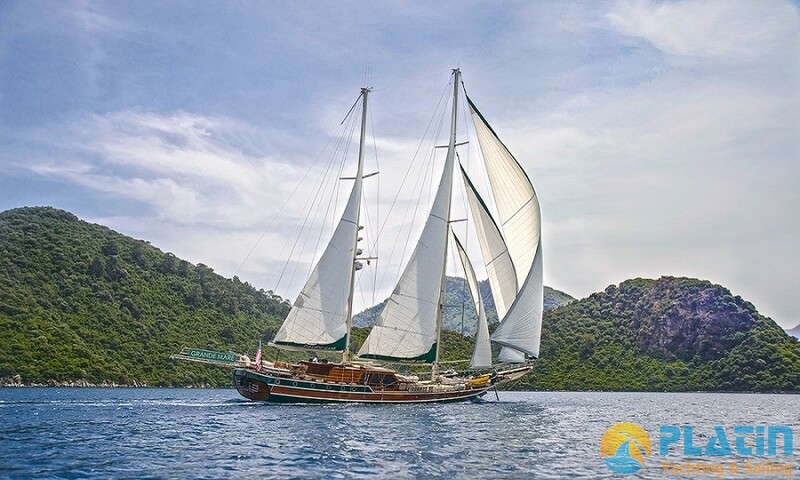 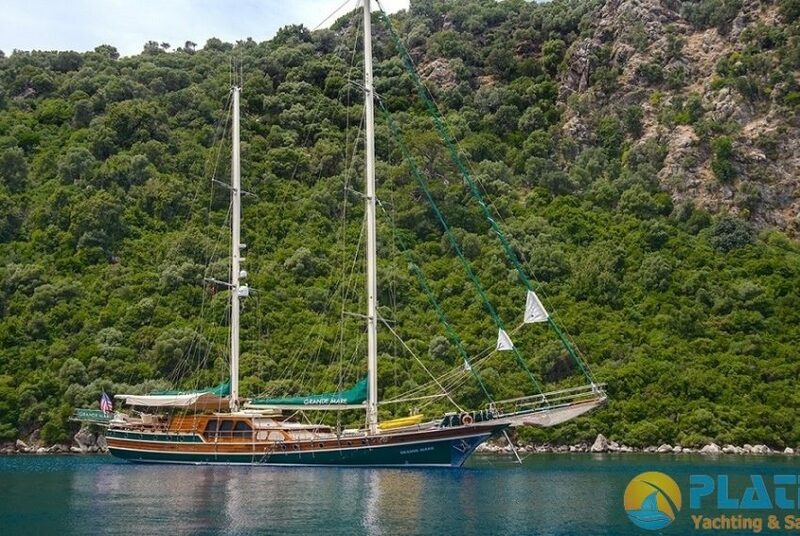 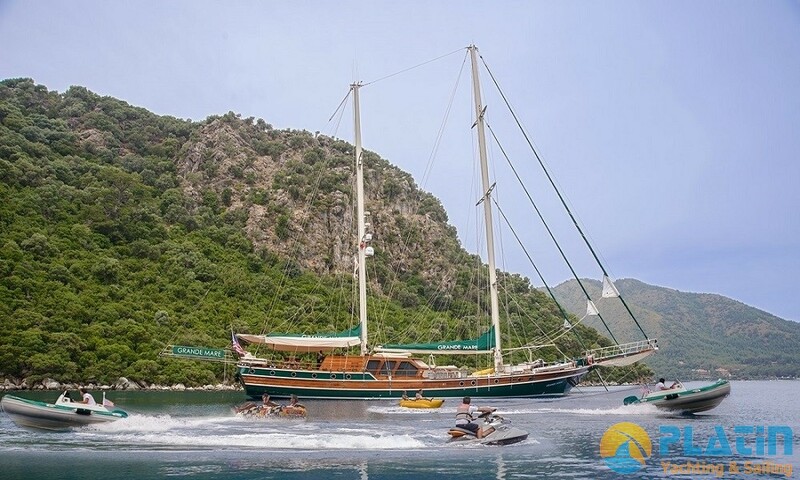 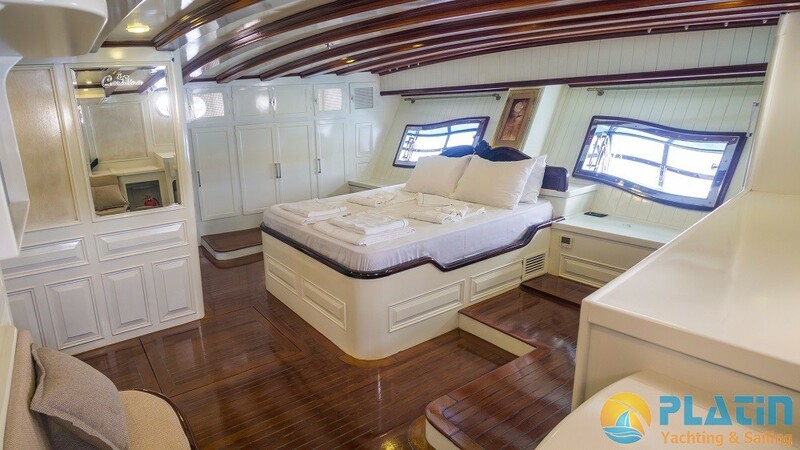 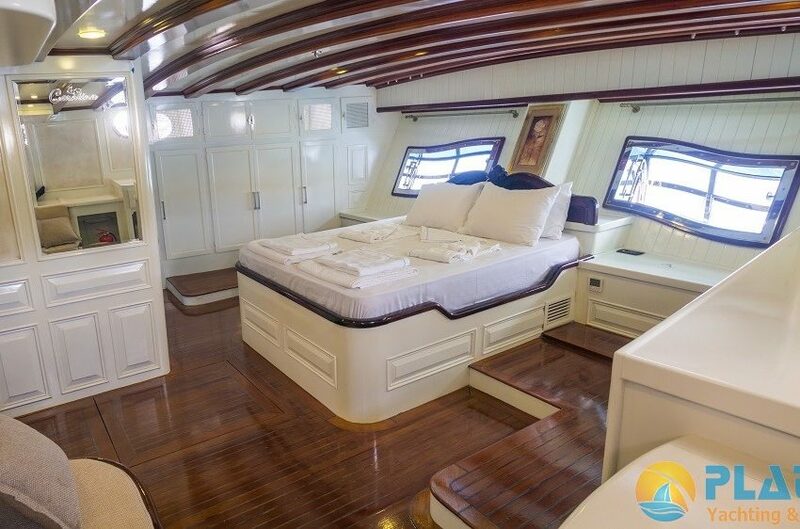 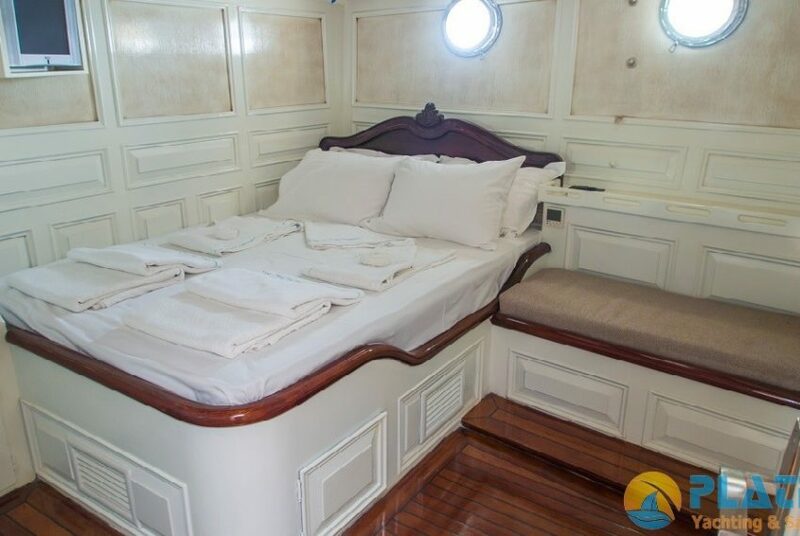 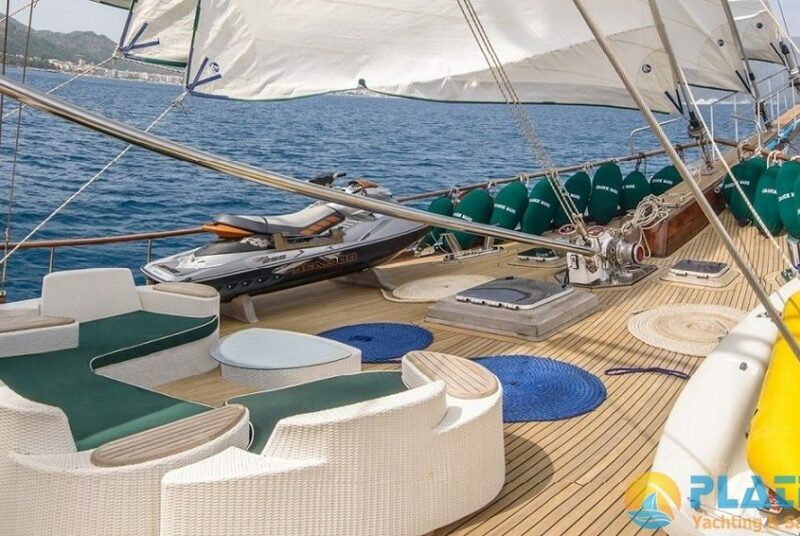 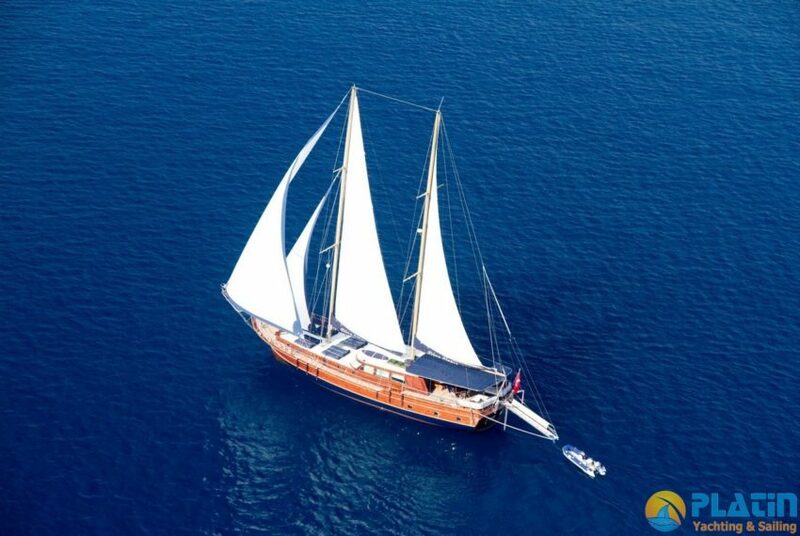 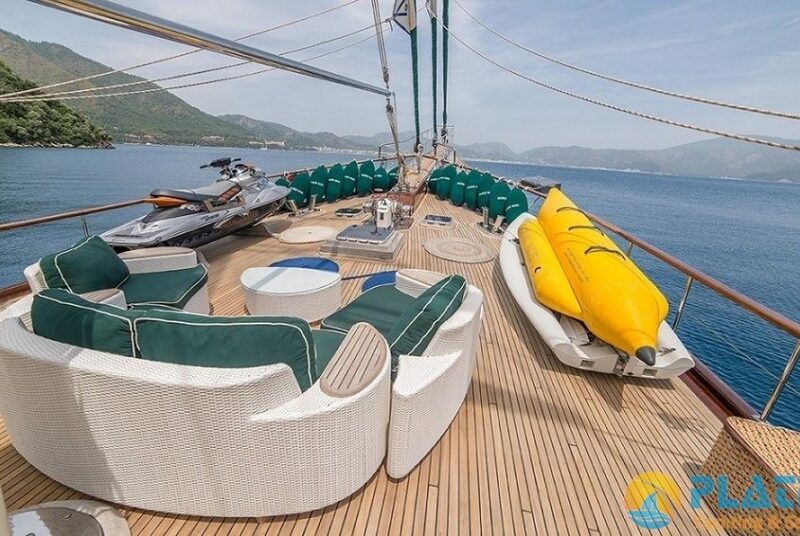 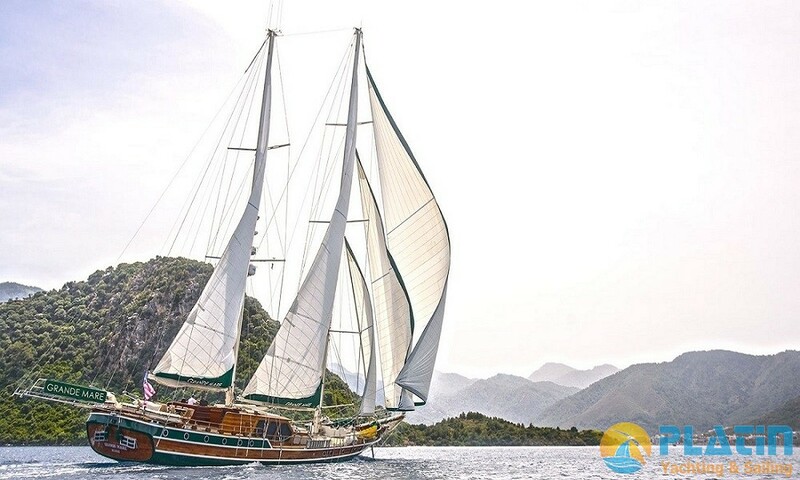 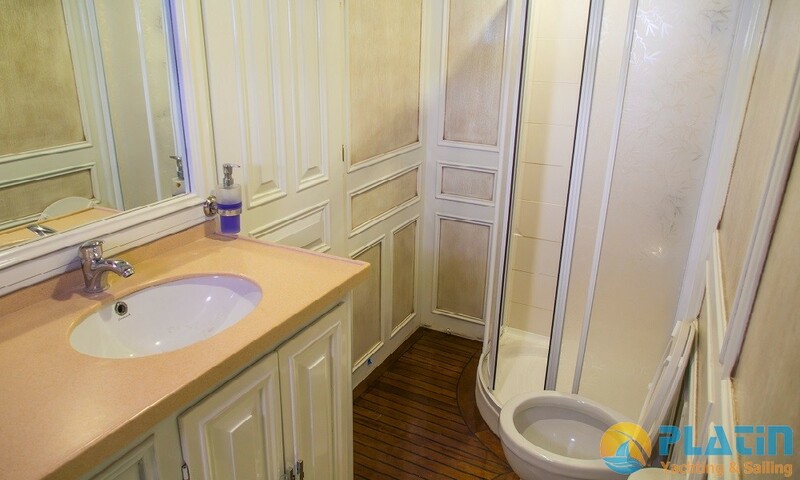 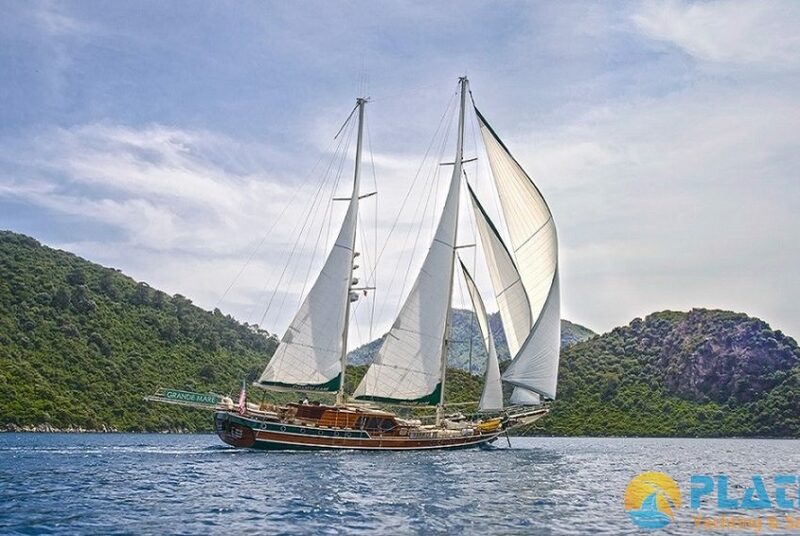 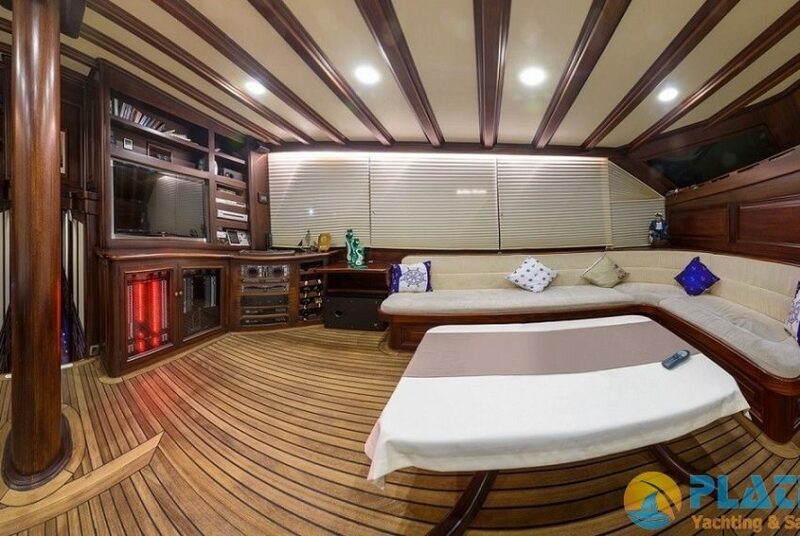 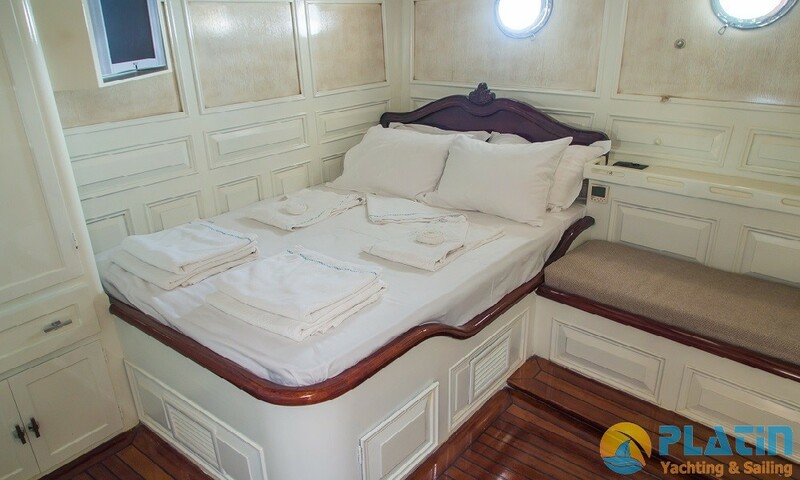 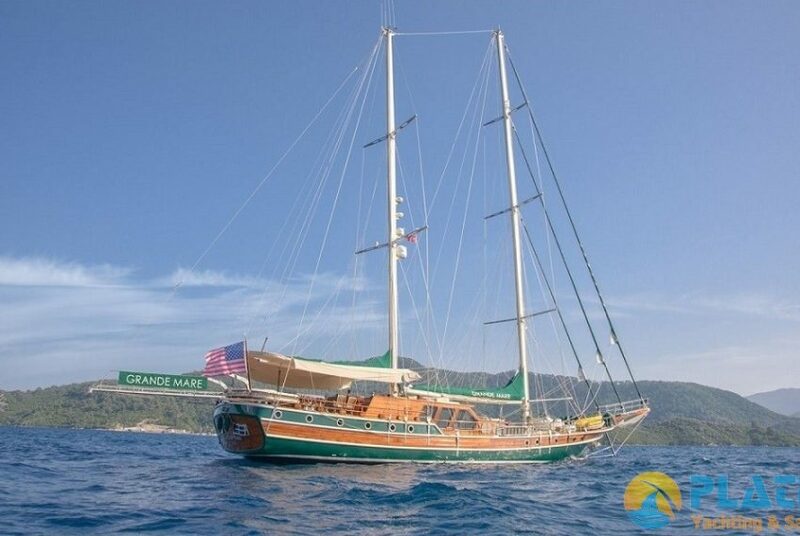 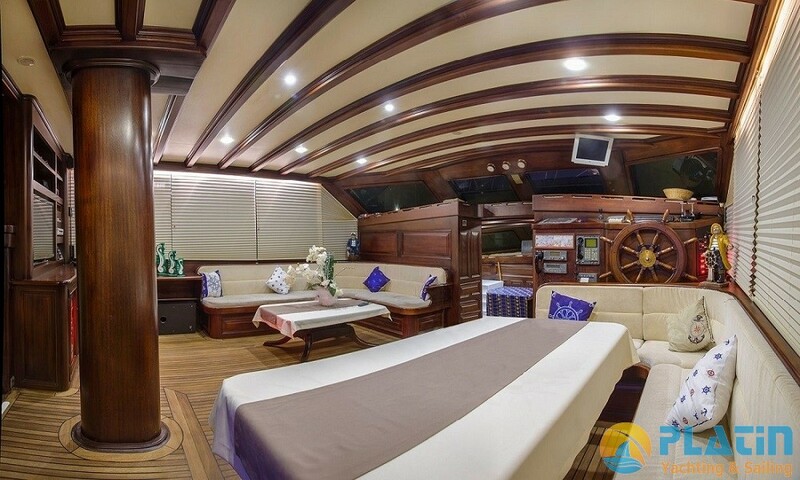 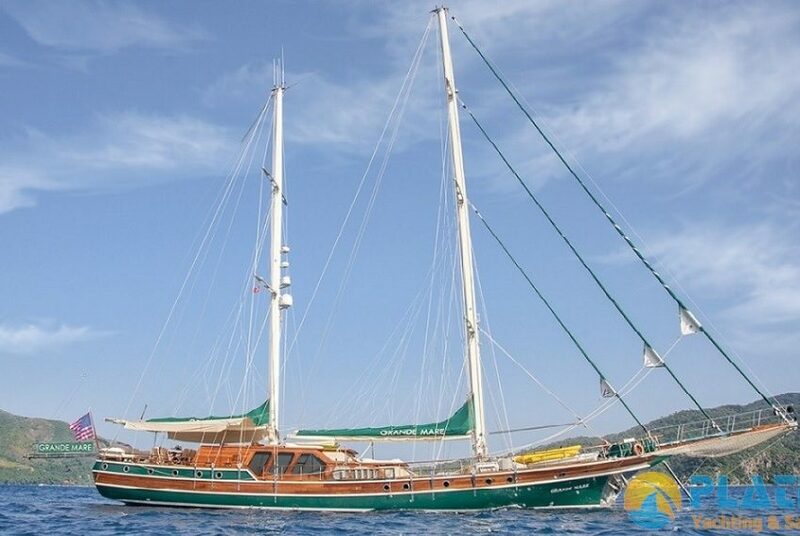 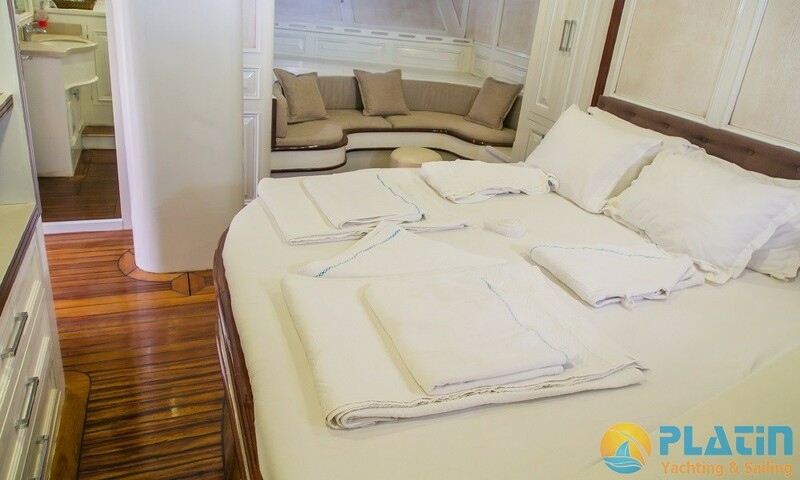 Grande Mare Gulet Yacht Built in 2006 after renovation in 2015 Grande Mare Gulet 34 Meters long with 2 Master 2 Twin 2 Triple Totaly 6 Luxury Cabins. 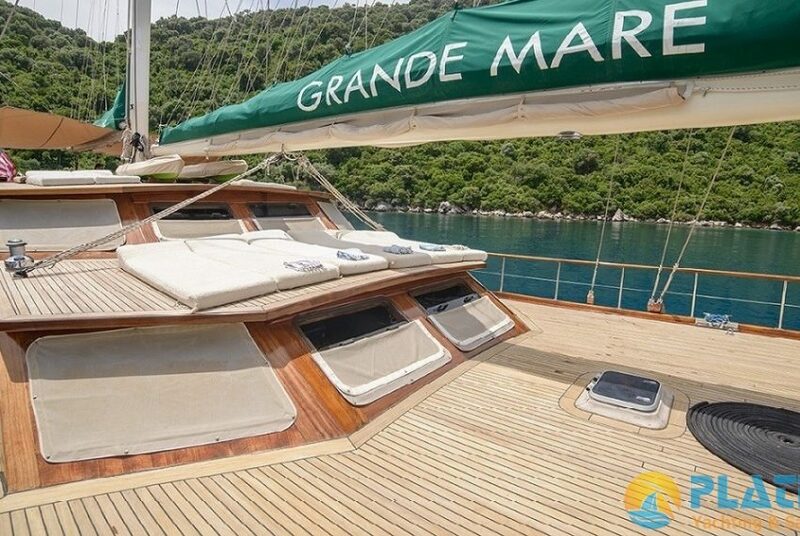 Grande Mare one of the Luxury Yachts of Turkey. 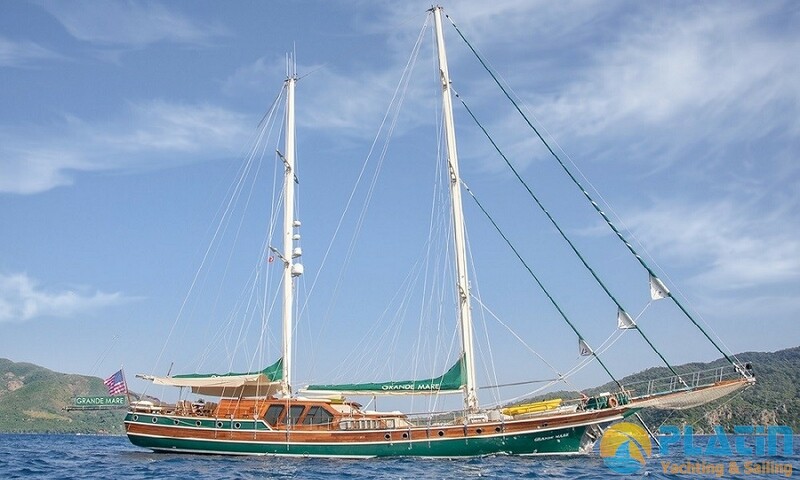 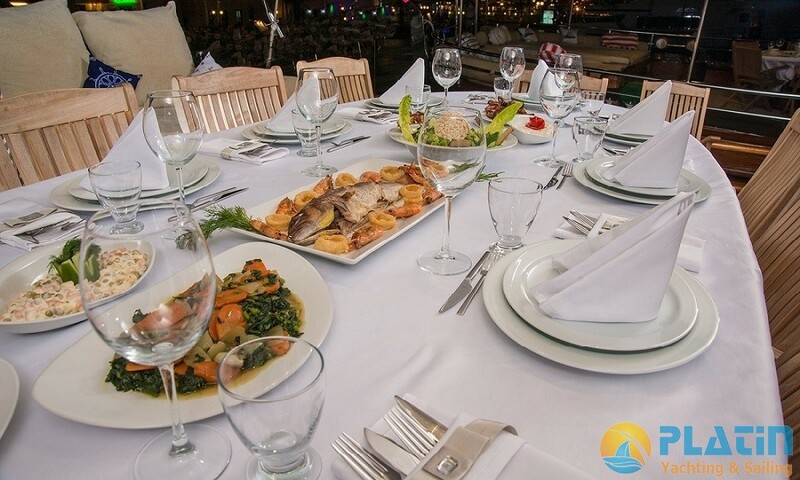 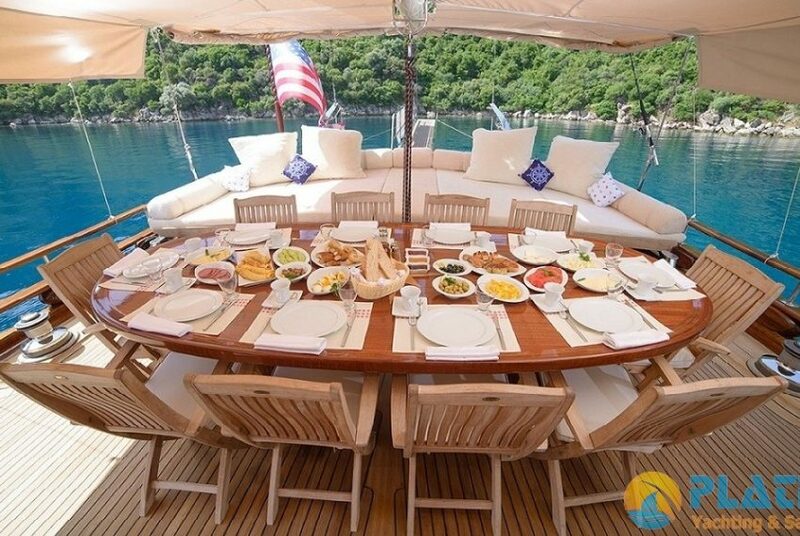 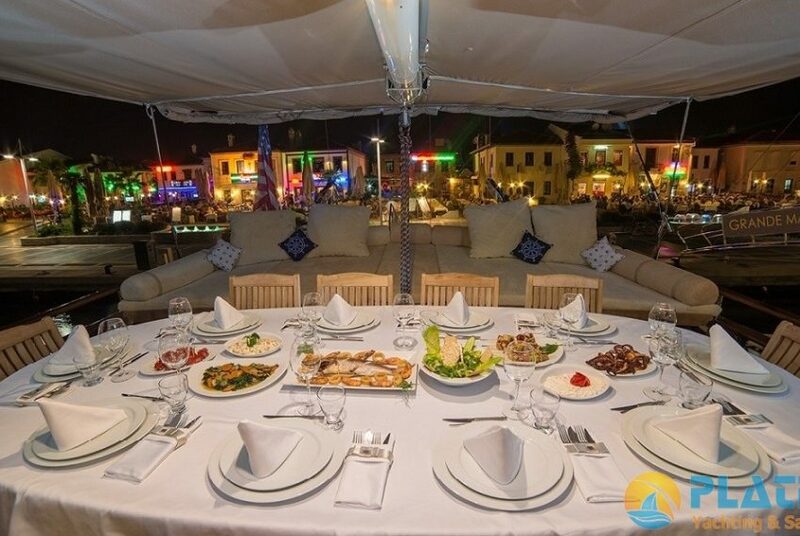 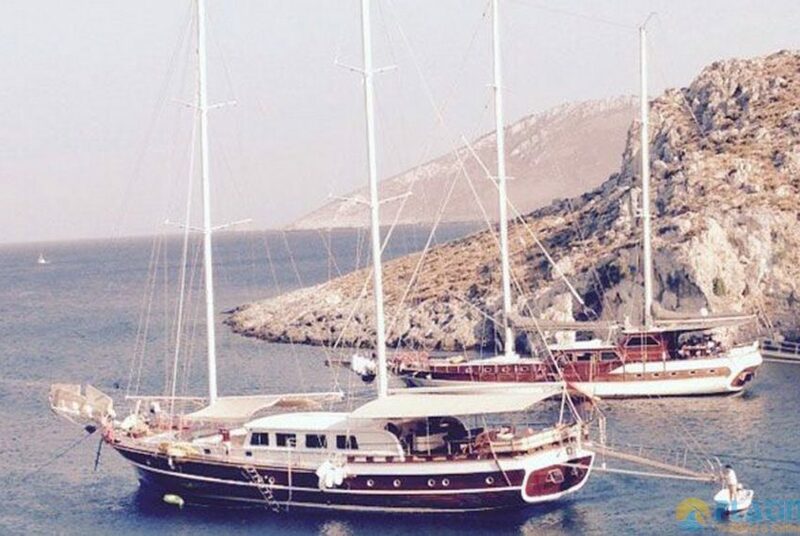 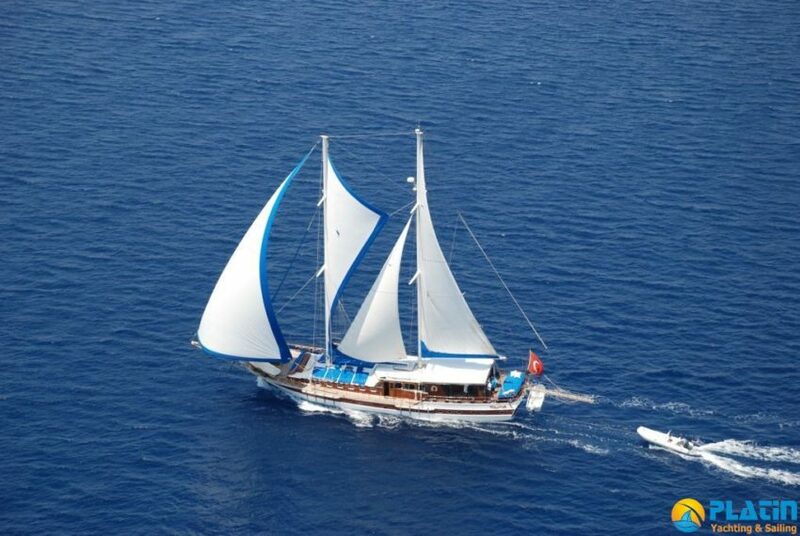 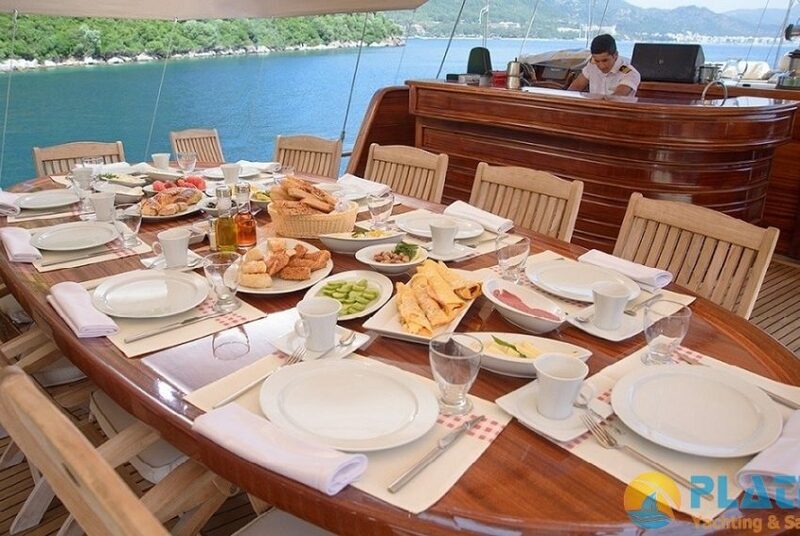 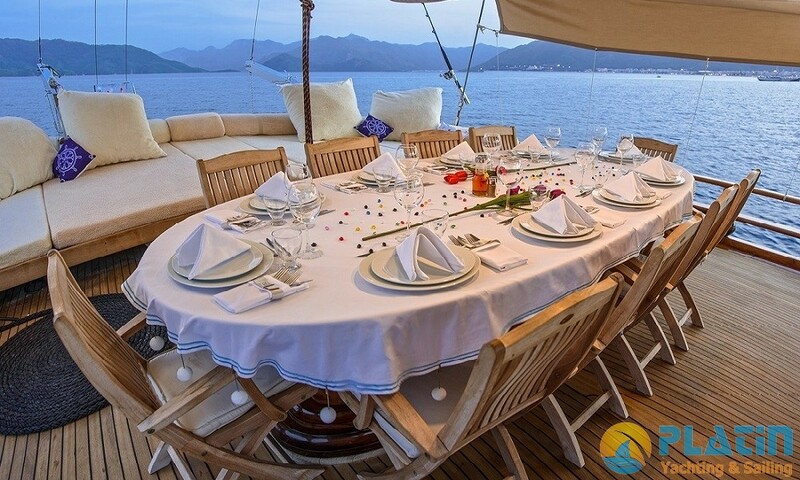 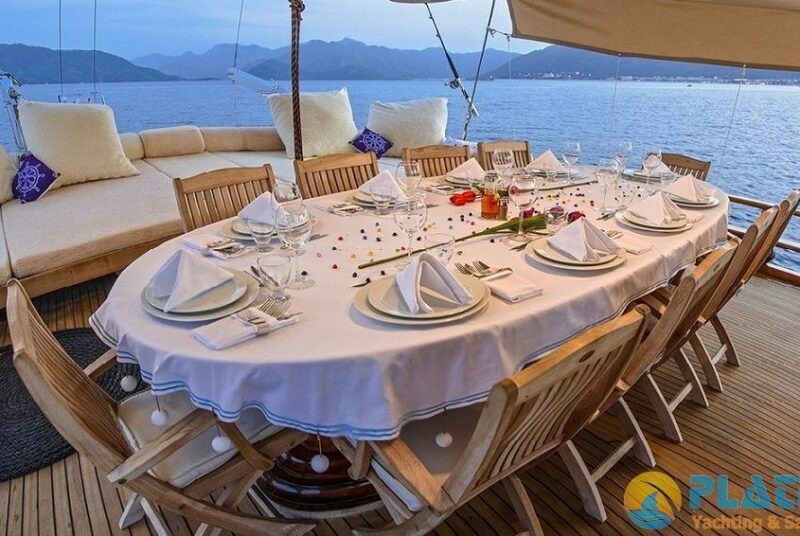 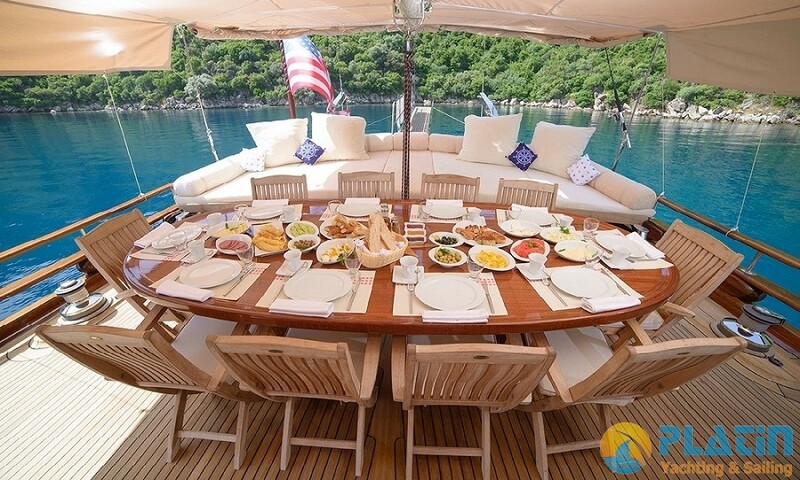 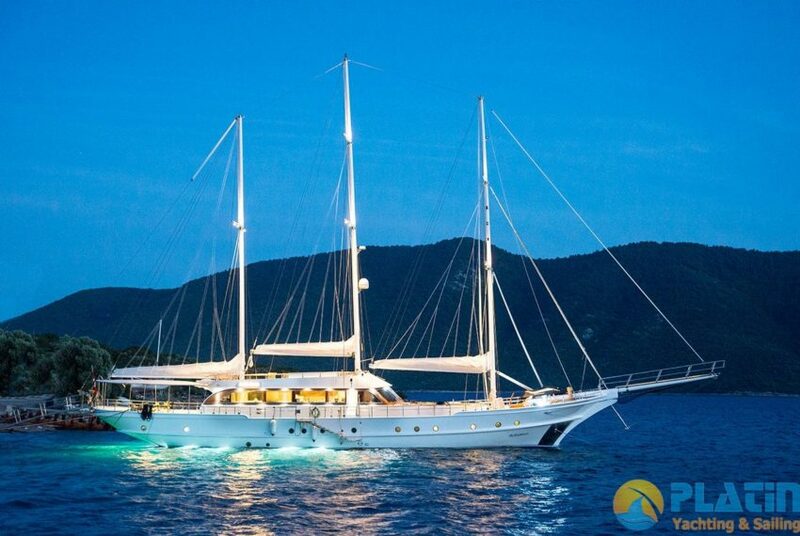 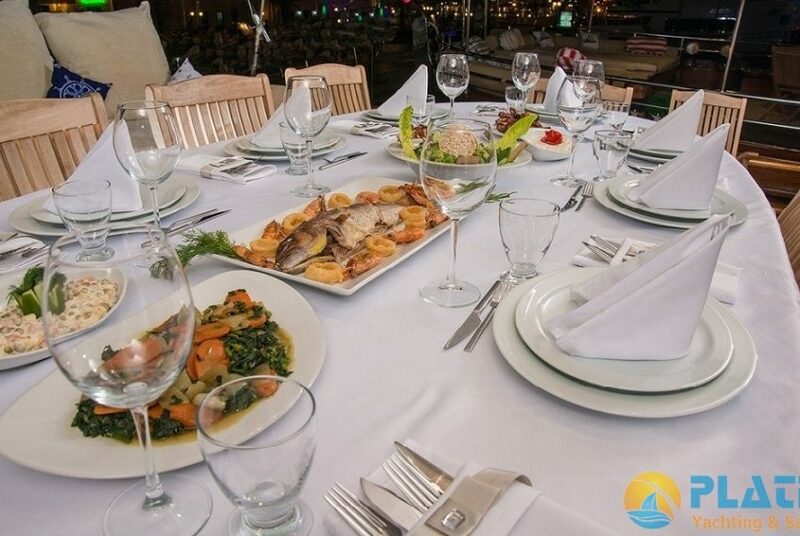 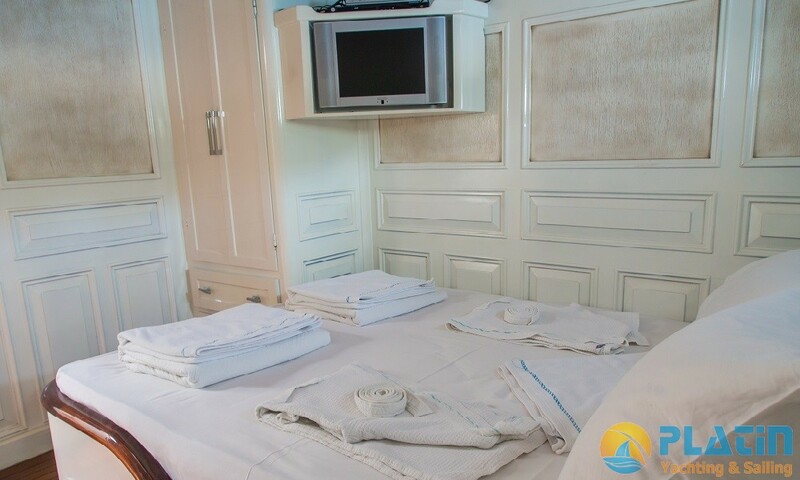 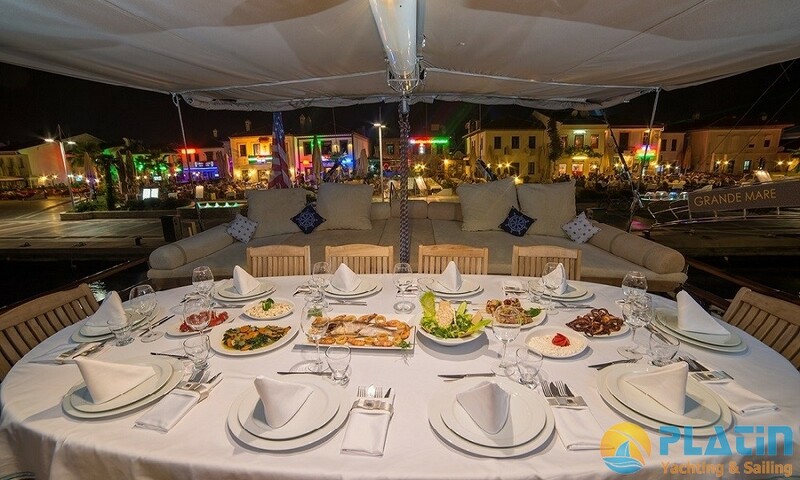 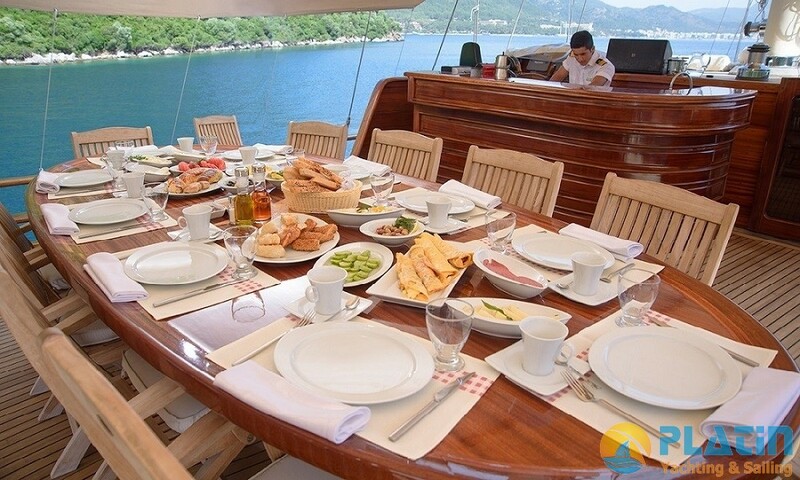 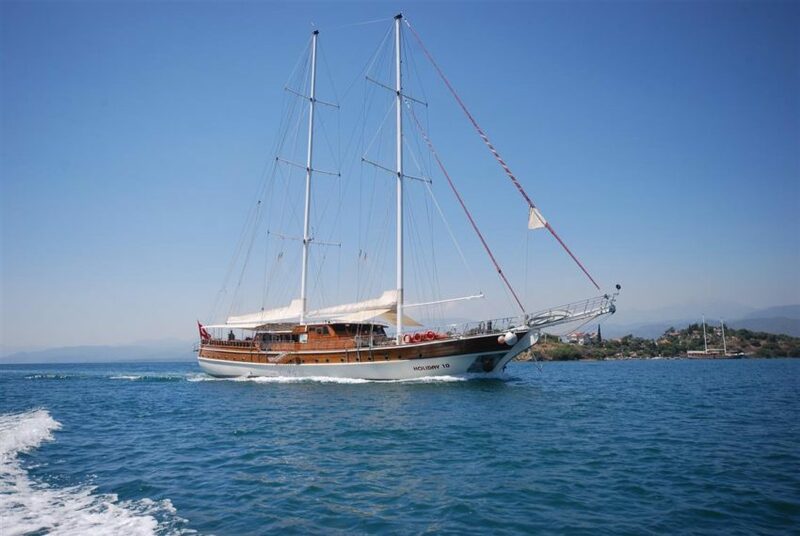 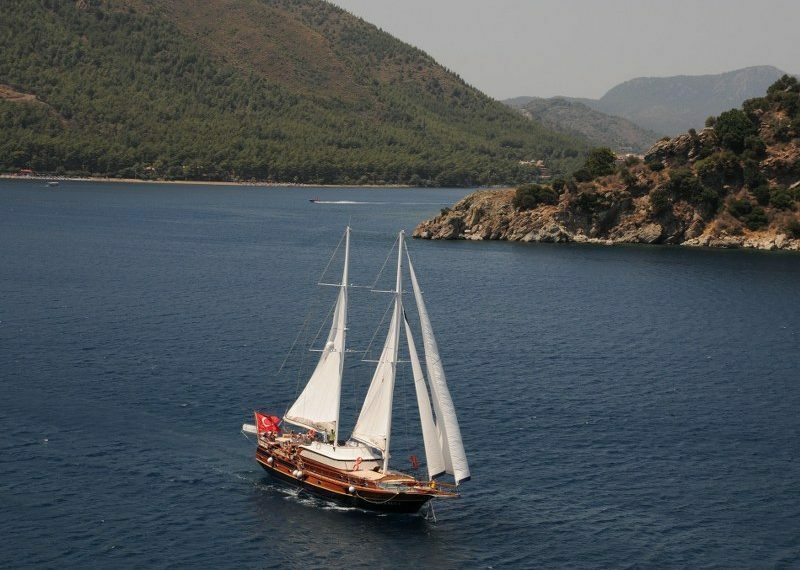 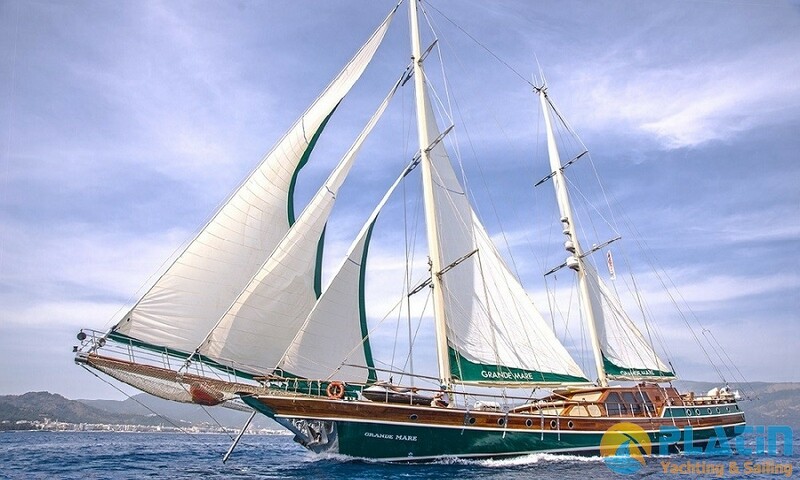 Grande Mare Gulet Yacht has 1 Capitan Cook 2 Deckhand and 1 Hostess are working. 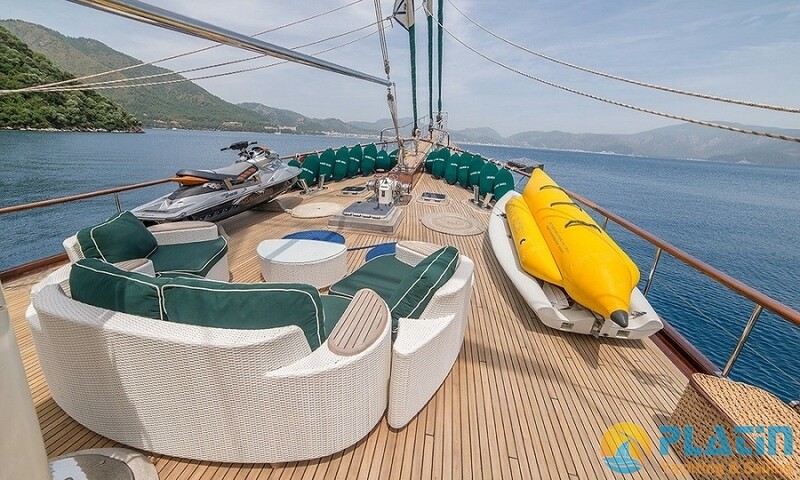 Grande Mare Yacht has cano, ringo, water ski, jet ski and paddle board water toys you can just buy your petrol to use them !! 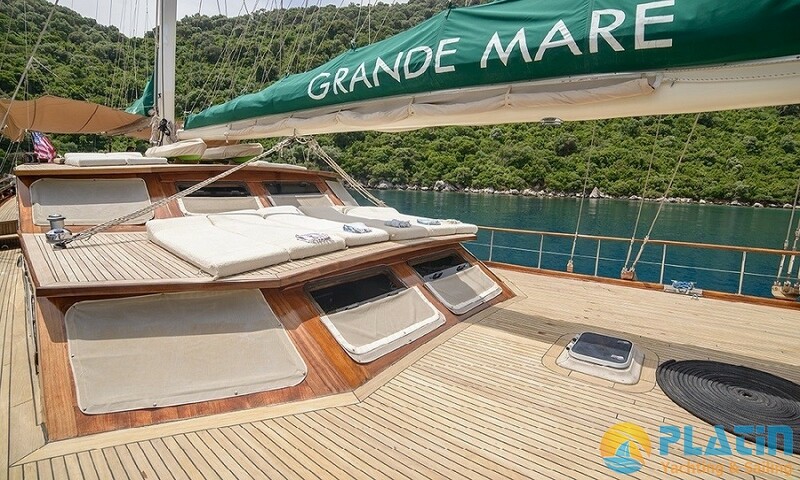 Grande Mare Yacht can sail with 12 passenger in Greek and Turkish waters like Fethiye Marmaris Gocek Bodrum and Kos Symi rhodos. 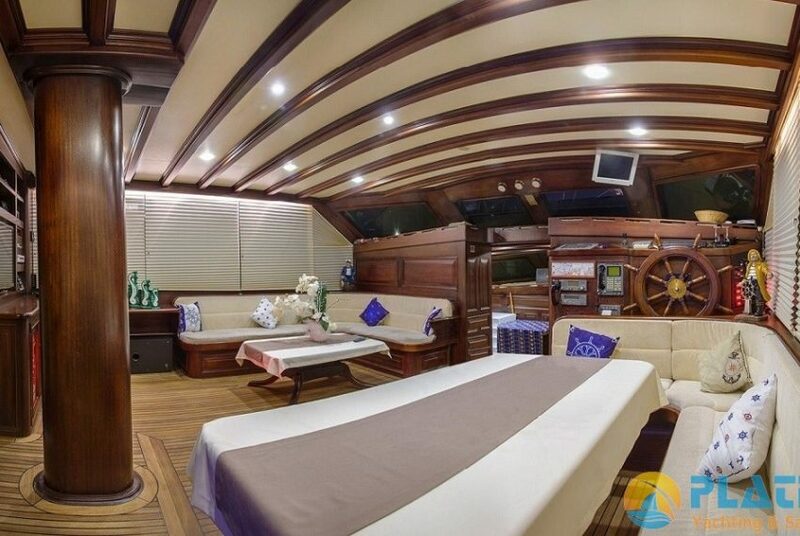 Engine 2 x 750 Hp Volvo Penta .